Several Apple engineers will be hosting talks at this year's Display Week, running from May 20 to May 25 in Los Angeles. Some of the topics on offer will include augmented and virtual reality, Micro LED, OLED, color gamuts, and capacitive touch screens. Cheng Chen, a director with Apple's Display Optics and Platform Technologies, will host a keynote covering three topics, namely OLED, eye tracking in AR/VR and blue LEDs. Although the iPhone 8 and X have a limited amount of AR support, Apple's participation does reinforce rumors that the company is working on a true AR headset, expected to ship in 2020 or later. The device may be controlled through a mix of Siri commands and touch and head gestures, and sport its own operating system, currently dubbed "rOS." It may also work fully independently of an iPhone, unlike the Apple Watch. More telling may be the engineers' participation in Micro LED events, since Apple has only mentioned interest in the technology in its patent filings. 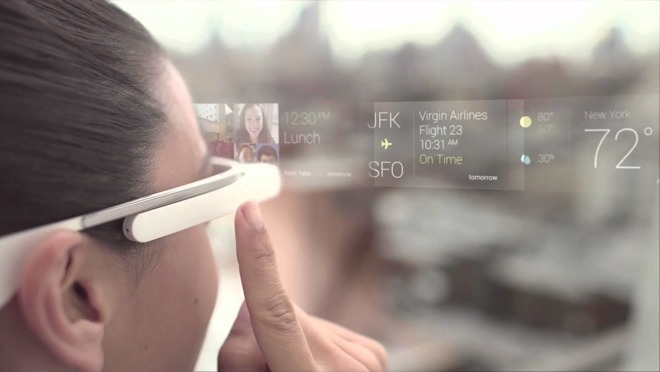 The company has repeatedly dropped hints about AR wearables — senior VP Eddy Cue dodged questions about them during his SXSW appearance in Austin on Monday.